Welcome to 4210 Doe Avenue in Homewood! 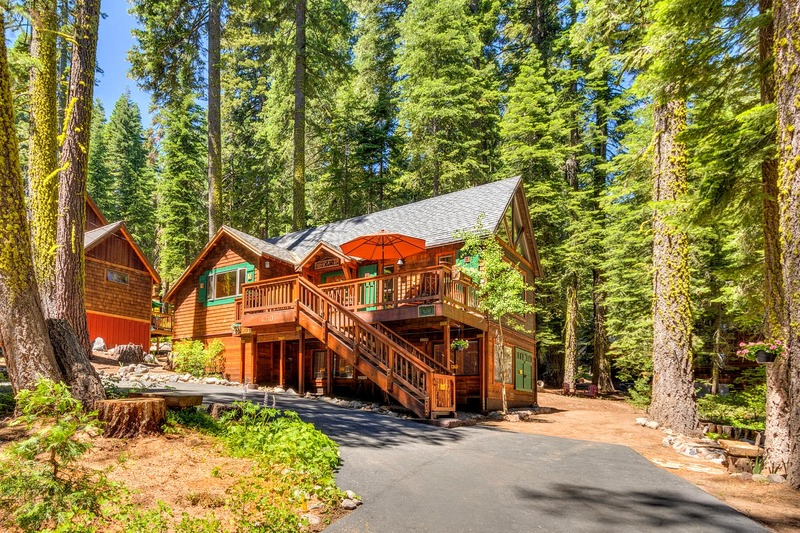 This “Old Tahoe” West Shore home is super charming and immaculately maintained. When you are thinking of a dream home in the mountains, this cozy cabin comes to mind from the gracious entrance, attractive curb appeal, to the main living area with vaulted ceilings and wood accents making for a bright and spacious cabin feel. This unique 3 bedroom, 2 bath mountain cabin has an abundance of character with beautifully updated hardwood floors, new carpeting, stainless steel appliances in kitchen, gorgeous doors and details throughout. Plenty of outdoor space from relaxing on the front deck and enjoying the water feature to family play-time in the large back yard. Located steps away from Tahoe Pines Homeowner pier and beach, nearby Homewood Ski Resort, Blackwood Canyon, Eagle Rock, and bike paths.